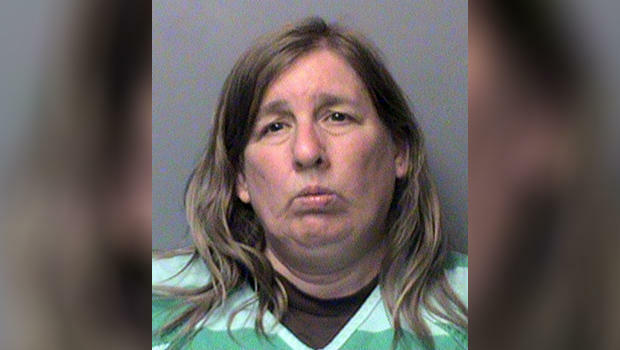 A woman from Des Moines, Iowa, pleaded guilty to election misconduct for attempting to cast two separate ballots in the 2016 presidential election for then-Republican nominee Donald Trump. According to the Associated Press, Terri Lynn Rote, 57, entered her plea for the felony charge on June 27. Court documents state that lawyers affiliated with the case are recommending Rote face up to two years of probation with community service on the side. Rote told police why she tried to vote more than once. She was convinced her first vote for Mr. Trump would be manipulated and changed to a vote for then-Democratic candidate Hillary Clinton. According to her statement to the police, Rote believed Mr. Trump's claims about widespread election rigging. Sentencing is set for August 15. Rote was arrested in October at a satellite voting station when she attempted to cast the second ballot. According to police records reviewed by the Washington Post, Rote's first early-voting ballot was issued at the Polk County Election Office. In January, according to the Des Moines Register, Rote's defense attorney argued in a filing that she had "significant mental deficits" that should have prevented her from having to stand trial. During an October presidential debate, Mr. Trump did not clarify whether or not he would accept the results of the election. Citing a 2012 Pew study, Mr. Trump toyed with the idea that the election was "rigged." "I will look at it at the time. I'm not looking at anything now. I'll look at it at the time," Mr. Trump said after being asked whether he would accept the election results. Days after the debate at a rally in Ohio, a state which went red in the presidential race, Mr. Trump continued to push the narrative of widespread fraud in the U.S. election system, suggesting he would only accept the final results if he won. "I would like to promise and pledge to all of my voters and supporters, and to all of the people of the United States, that I will totally accept the results of this great and historic presidential election -- if I win," Mr. Trump said. Just days into his presidency, Mr. Trump made another unsubstantiated claim that somewhere between 3 and 5 million people in the U.S. illegally cast ballots for Clinton, which he says is the reason he lost the popular vote. Mr. Trump continued to address voter fraud by establishing a commission to investigate the matter shortly after taking office. That commission has requested data from state election systems, including information such as names of voters, their party affiliations and voting histories. A growing number of states have rejected the requests, with many refusing outright to share the data or only small parts of it.